Are you trying to sell your Jeep? Used Car Guys can help you. We are Sell My Jeep NZL specialists when it comes to buying used Jeep trucks and SUVs. We buy hundreds of cars every day and have the expertise to make selling your Jeep a stress-free and even pleasant experience. We will give you a fair and honest appraisal of your Jeep’s value when you bring it to any of our convenient locations, and if you like the price we offer, we will cut you a check on the spot. Used Car Guys will make a FIRM offer for your Jeep. If you want to Sell My Jeep NZL the Simple & Secure! way,simply enter your registration number and a few simple details. We will call you back promptly with a FIRM offer for your Jeep, based on your description. If you like our offer, we will collect your Jeep at a time convenient to you, and pay you hard cash or secure online transfer from ANZ bank. To receive a free, no obligation price for your Jeep, please request a quote. If you have any further questions then please contact us for more information about selling a Jeep. Where Can I Sell My Jeep for Cash? 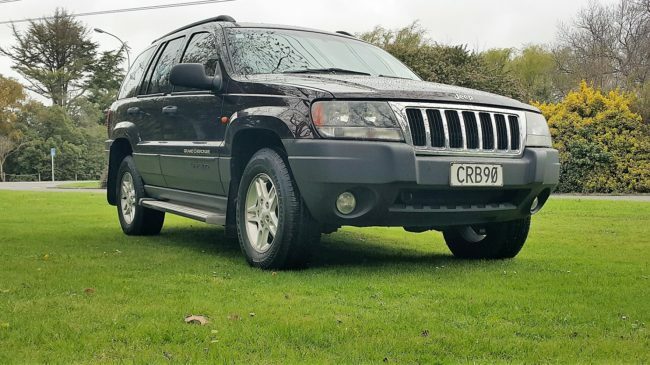 Selling your Jeep is easy with Used Car Guys, simply get in touch with our Sell My Jeep NZL team on 0800 111 352 . We specialize in the purchase of all Jeep models and our hassle free instant offer system is always available 24/7. We walk you through your Jeep’s appraisal process and even consider the vehicle options when creating a value. You will receive an email with all offer details and will even show you a check when finished, do not delay, sell your Jeep to us today!